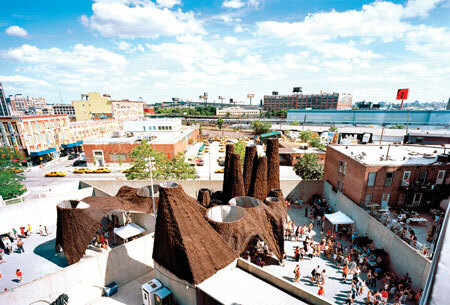 A pavilion consisting of thatched, conical towers designed by MOS architects has opened outside the P.S.1 Contemporary Art Centre in New York. 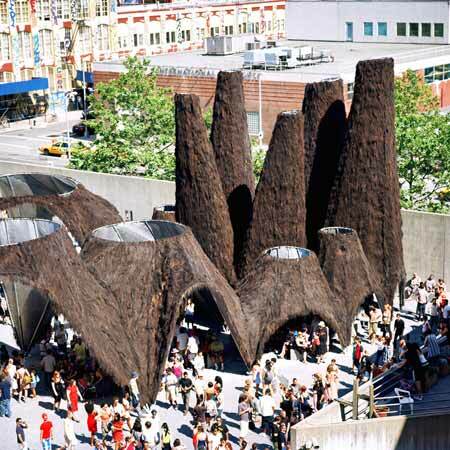 The pavilion is covered in thatched palm-fibre from Indonesia and will be used as a venue for events over the summer. 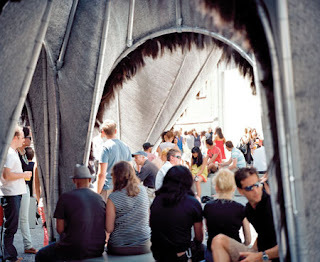 The brief required that the pavilion have bar areas, provide shade and seating, and incorporate water. 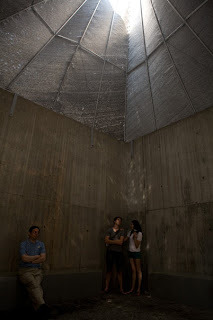 Cooling air is drawn across concrete troughs of water and upwards through the chimney-like structures, which also provide shade for visitors.